Importance of budgeting | Take my money! Back on the topic of loans, finances, and budgeting, as a young person, unless you’re the offspring of wealthy parents (or grandparents) who have left you a large amount of money, you need to save money to accomplish your personal and financial goals, or even to just get by. Early in your working years or even before, saving money can be hard. Although you’re likely not earning large sums of money, you can live life and still buy the items (like a car and entertainment) you need. 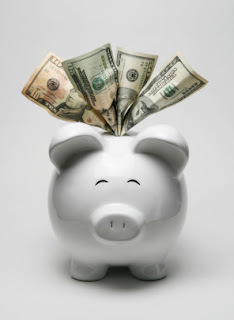 When you’re first starting out, your salary is probably somewhat low, if not at the minimum, and after essential expenses such as rent or mortgage, food, travel, etc, you may not have much money left for fun spending, let alone putting some money aside in your savings account. Remember, though, that when it comes to saving up money, it doesn’t matter what you how much you make, it’s how much you spend and, therefore, are able to save up. Many wealthy people didn’t get rich based with just their big salaries, but through disciplined savings and wise investing over time, just like common folk. It's the same with people who win the lottery, if you don't have any restraint or planning, you might as well ruin your life with all that money, leaving yourself and perhaps people around you (wife, children) even poorer than when you bought that ticket. Anyway, People usually learn their financial habits and traits at a young age. During childhood, most people are exposed to messages about money, both at home with their parents and siblings and also in the world at large, such as at school and their friends. All these messages shape up your internal "value" of money, and spending ethics. Just remember, spend wisely, think about it when you're about to buy something, even if it's just a cup of coffee. Most of the time, you don't need it, it's just a temporary craving. It's not too late to turn around even when you're at the shop in front of the item.